Holle Organic Oats Baby Porridge makes a perfect breakfast for your baby at a later stage of weaning - after introducing your baby to the gluten free porridges Rice and Millet at the beginning of weaning. 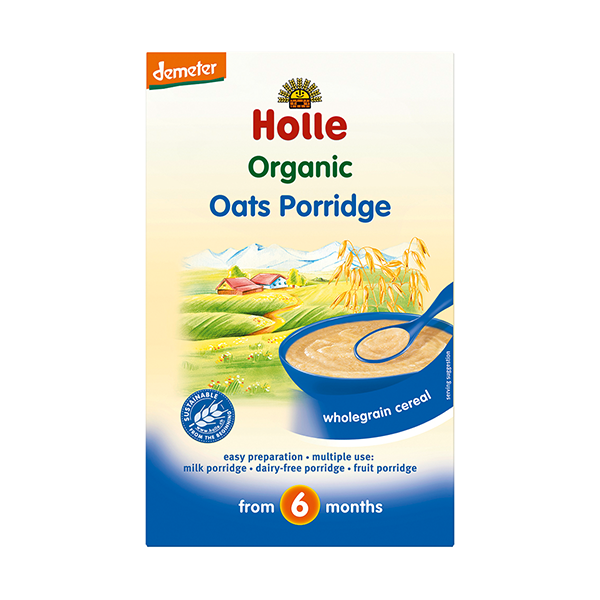 (Single grain porridges should ideally be given before moving on to multi grain baby cereals like the Holle Organic Baby Muesli Porridge.) Oats contains gluten but not in a high quantity. 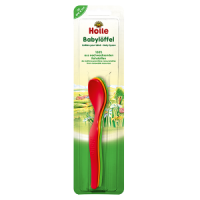 The Holle Organic Oats Baby Porridge is easy to prepare with breast milk, baby formula milk, water or any other liquid. 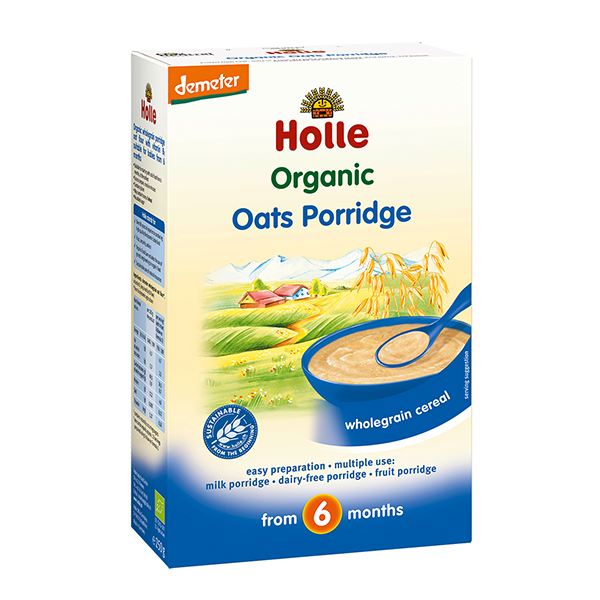 Oats is known for its high protein content and as a great source of energy amongst cereals. 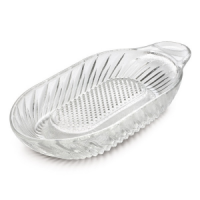 It contains easily digested carbohydrates, many unsaturated fatty acids and a high percentage of vitamin B1. 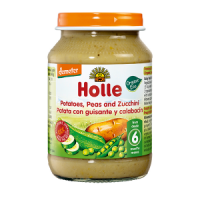 Holle Organic Oats Baby Porridge can be used in your home made recipes or just mix the oats porridge with one of the Holle organic fruit jars or pouches for a healthy breakfast for your baby. 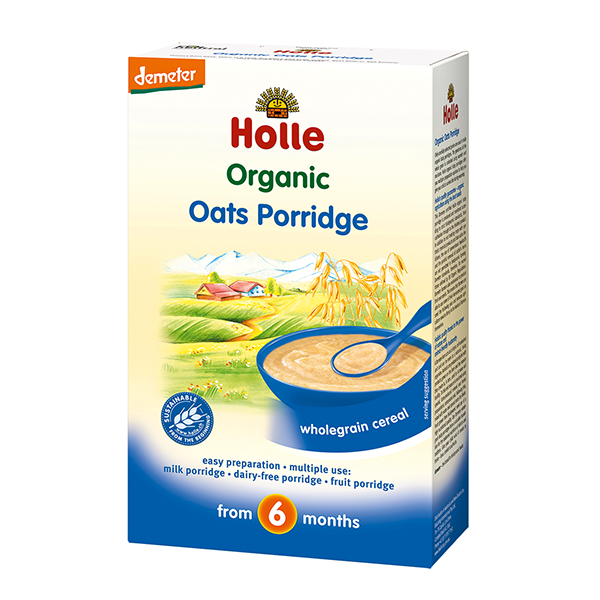 Please note: These boxes of Holle Organic Oats Baby Porridge are discounted due to damaged outer packaging. Instant. 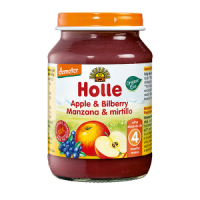 Free from cows milk protein and no added sugar or salt. Wholegrain OATS flour**, Vitamin B1 (required by law).